The defection of Emeka Ojukwu Jnr. from APGA to APC seems to have suddenly ensured that APC is one of the strong contenders in the Anambra election. 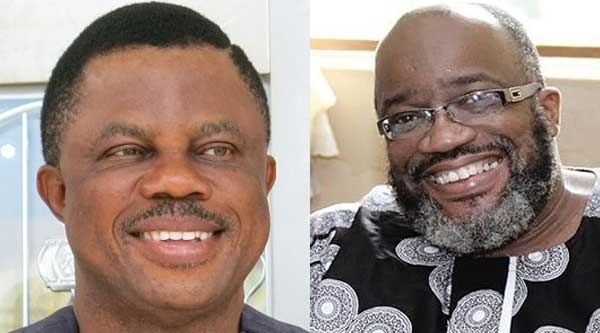 The Anambra governorship election has been tagged the ultimate battle following the decamping of Emeka Ojukwu Jnr to the All Progressives Congress (APC). Although, APGA has described the defection as inconsequential to the re-election of Governor Willie Obiano, the talk in town shows that the people may be taking his defection seriously. The son of the late Dim Chukwuemeka Odumegwu Ojukwu has been a member of the All Progressives Grand Alliance, APGA, a party his father jointly founded. But he said on Wednesday that his decision to join the APC was to protect the interest of the Igbo. This comes at a time his former party is fighting a battle to keep the only state it has been governing in spite of the fierce challenge posed by the bigger parties in recent years. The 2018 governorship election is the first time APGA will be up against a national ruling party other than the PDP. Although, APC remains unpopular in Igbo land, Bounce News, in chat with some residents of Awka, the Anambra state capital realized that Ojukwu’s defection may have done the party some good. Ani, cab driver says there is growing concern that APGA may have been deeply weakened by the situation as it now seems like Governor Obiano is “on his own”. Austin an okada rider says it appears that for the first time, an incumbent governor in Anambra is the underdog in the contest. Perhaps the Ojukwu factor has suddenly ensured that there are three strong contenders going into the polls – APGA, PDP and now APC. How much these sentiments will help APC and their candidate, Tony Nwoye on Saturday against APGA’s Governor Willie Obiano will be known in just about 36 hours. Meanwhile, APGA National Chairman, Dr. Victor Oye has described Emeka Ojukwu as “a prodigal son for now”, believing that he would still come back to his root – APGA.